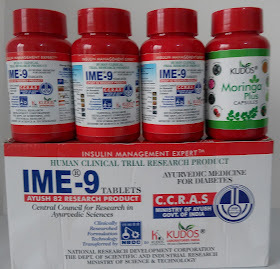 Many people like me have already been cheated by the product IME9 which promises to cure any type of Diabetics disease let it be for how many longer years of the patient. But the result is far from its promise. Before I tell you the conclusion let me tell you how I fall into its trap which many happen with you and you should be aware of it and keep you safe from landing in trouble. 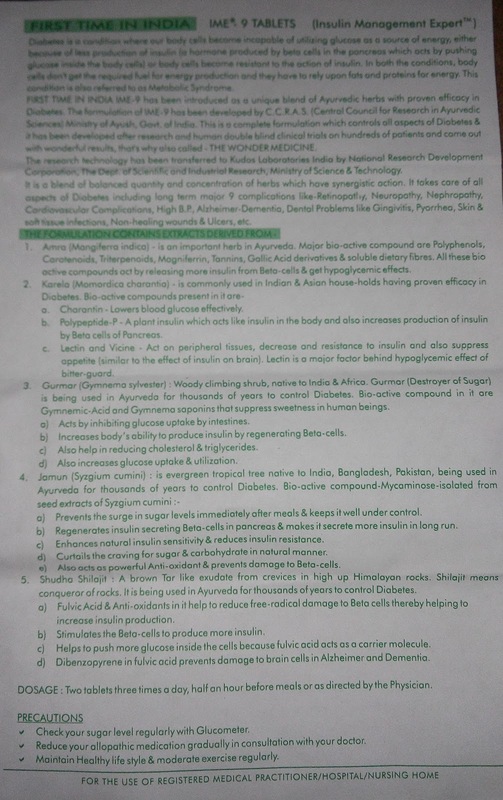 One day I was watching TV and saw an ad showing it cures Diabetics successfully within 3 months. 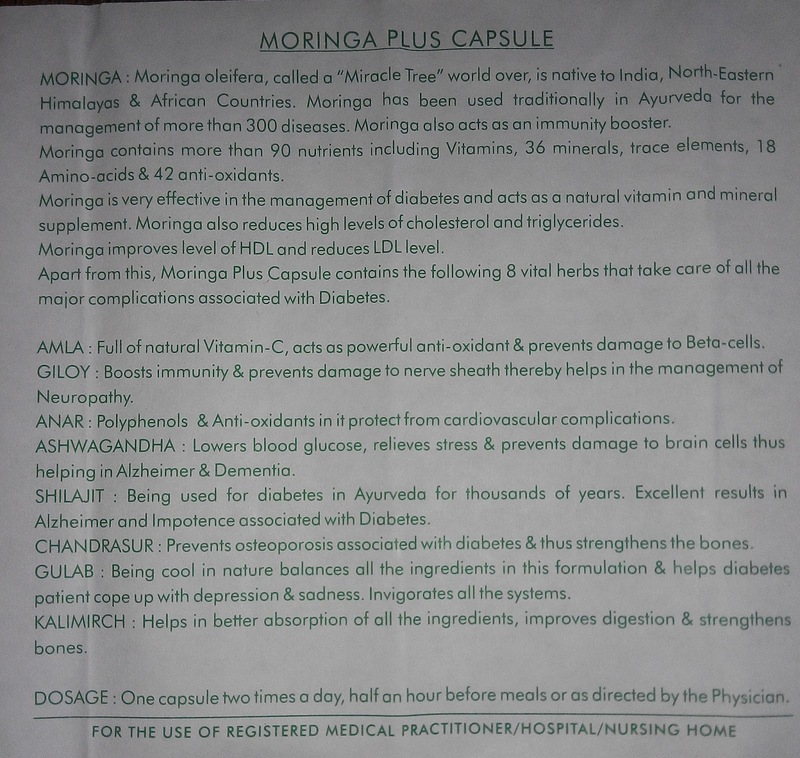 Not cures actually, but it brings blood sugar within control within 3 months of course and thereafter you need not to continue any other medicine. 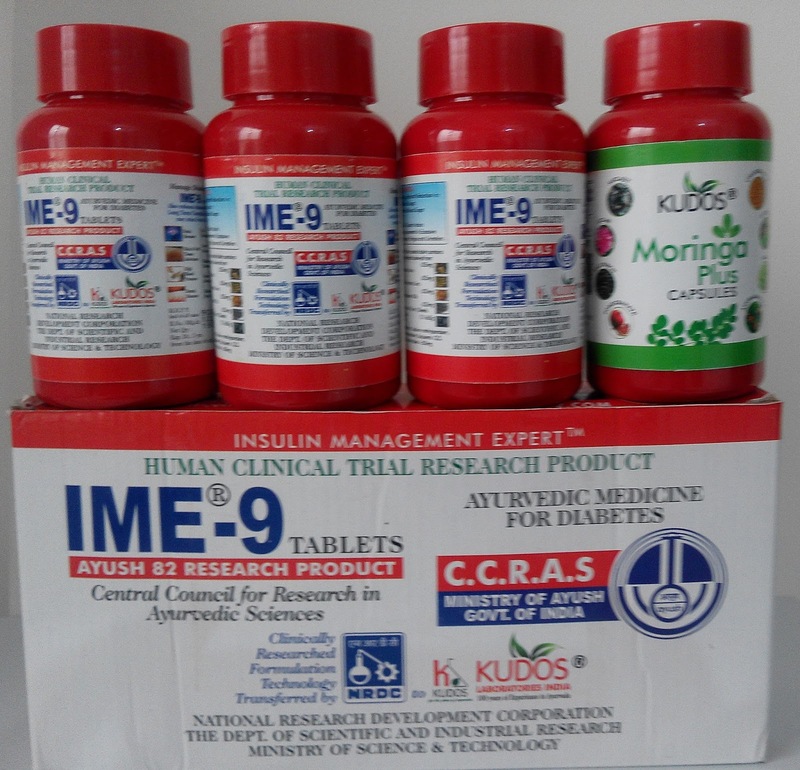 The medicine is approved by Government of India “National Research Development Corporation The Department of Scientific and Industrial Research” Ministry of Science & Technology. I am placing the complete image of the package which you can see yourself. 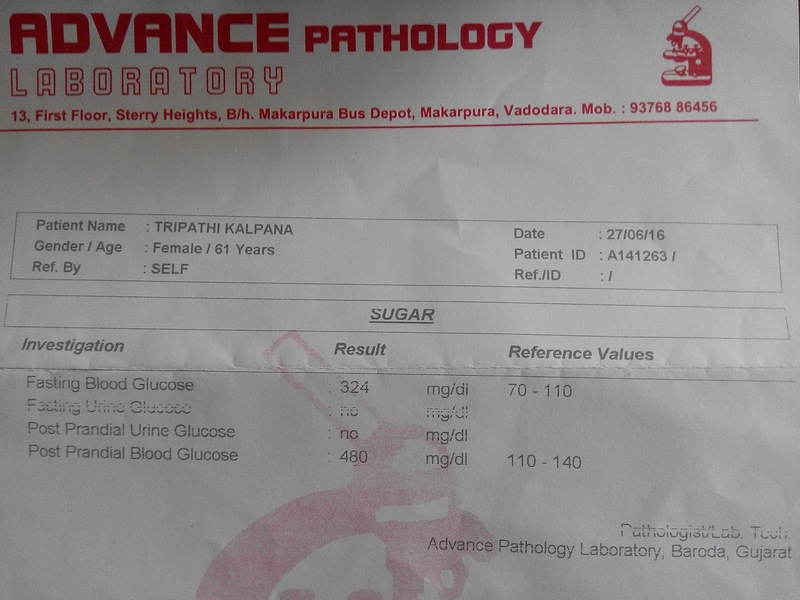 I was excited as my mother is a 25 year diabetic patient and along with that high blood pressure was a gift to it. 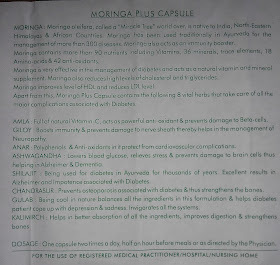 She was fed up with taking so many medicines daily for last 25 years. 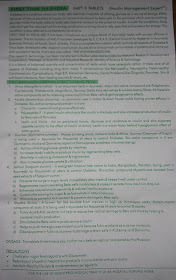 Around 15 to 20 medicines in total daily for last 20 to 205 years. 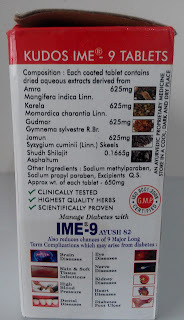 So I thought if this IME9 is going to work then my mother will be relieved from taking so many medicines and she will have a better health. 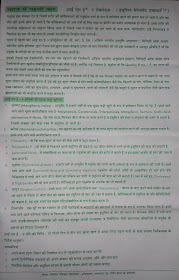 In few days I made a call to enquire about the medicine to their customer care number shown on TV advertisement 96437003359 and a lady explained me everything about how to use the medicine, what are the things not to be eaten during this period and confirmed that after the medicine is delivered they will again call me and once again explain everything in details. She took my address and confirmed that the medicine will be delivered on next day on “Cash on Delivery” by courier as I agreed to buy the product. 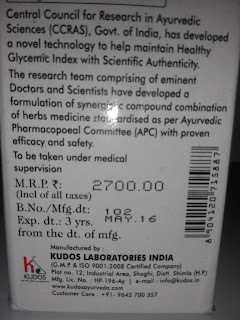 The cost of the medicine was Rs. 3000. There will be 4 bottles inside the packet. 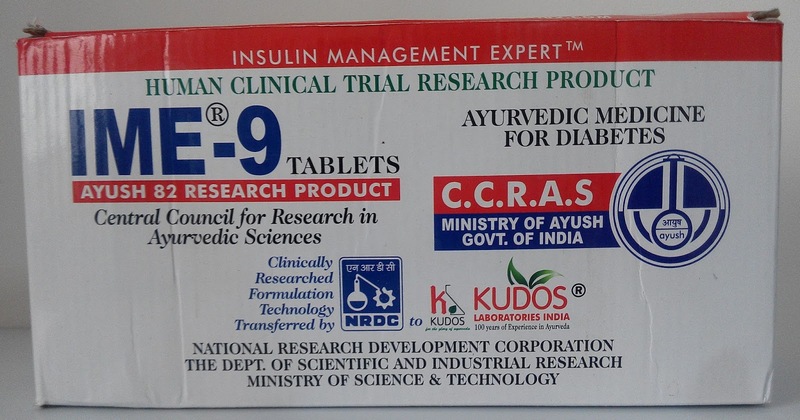 3 bottles will be for diabetic and 1 bottle will be for other 9 types of disease which is free. I have to pay for 3 bottles and the other one is free of cost. 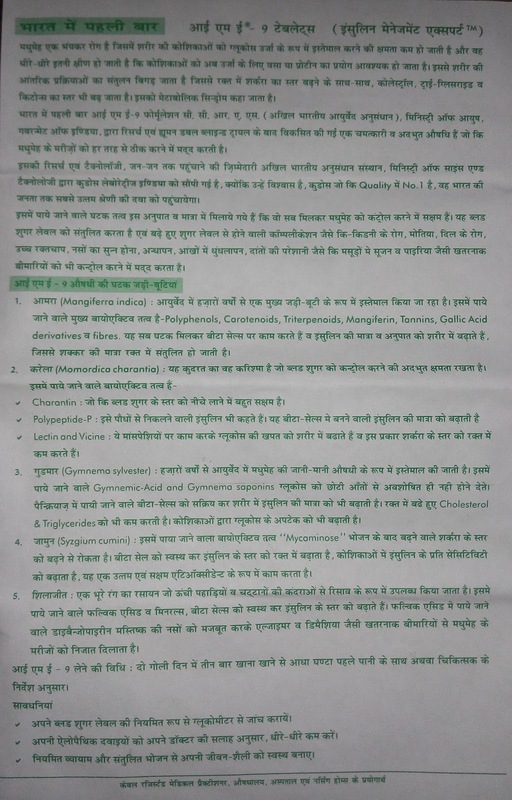 Exactly the next evening the courier guy delivered me the medicine packet which was wrapped in a polythene sheet and collected Rs. 3000 from me. There was no bill pasted on the packet. I thought the bill will be inside the packet. Because of excitement I could not ask the same to the courier guy too. 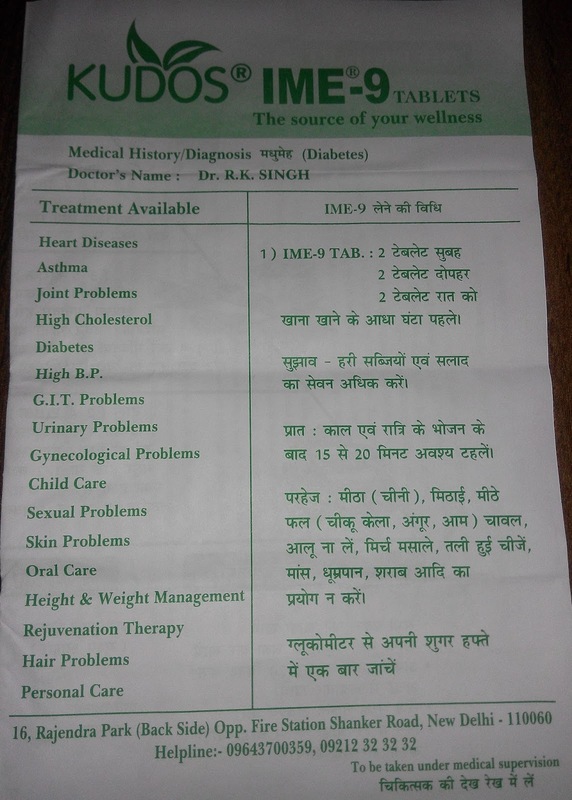 When I tear off the polythene sheet the medicine packet was inside and there was no bill inside it. 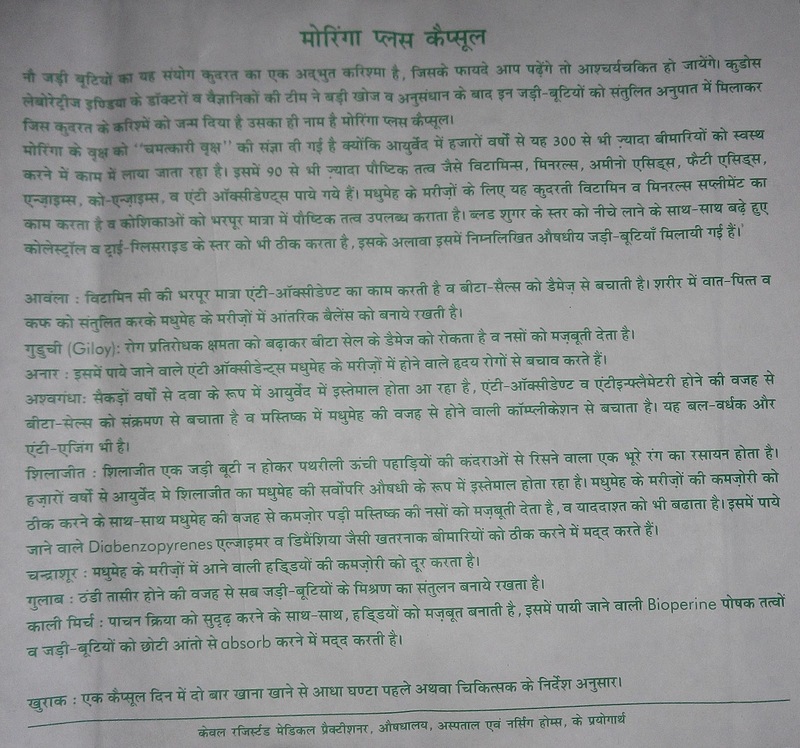 MRP written was Rs. 2700 and I paid Rs. 3000 (You can see the image for the MRP). So I was bit confused as there was no bill means no proof of selling. 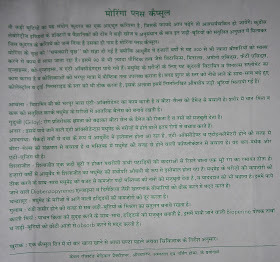 As it was shown to be a product approved by Govt. 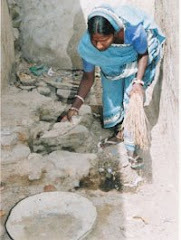 Of India and such an activity was never expected. I waited for 2 days but no call received from them. 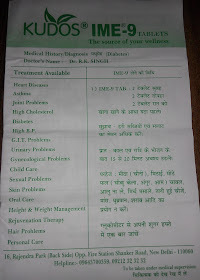 As I was explained already, I advised my mother to continue the medicine in that manner and stopped all other medicine. 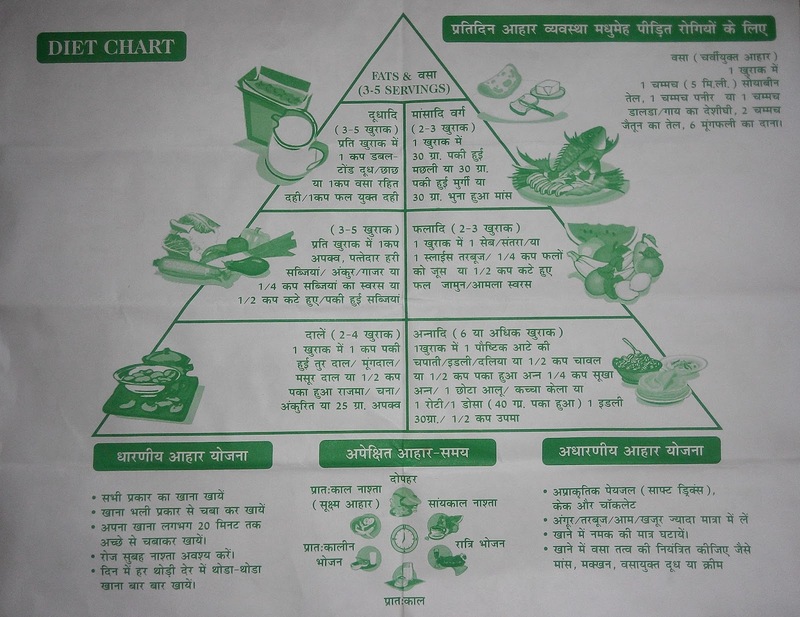 All diet was also according to the guideline which was explained to me and a paper explaining the guideline inside the medicine packet. 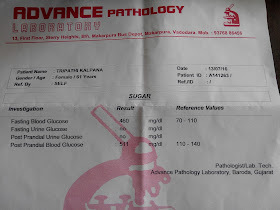 If you see, there is a drastic increase of increase of sugar level after taking IME9 just for 15 days. With that some other problems started like, my mother use to be too tired. She was feeling very tired and always felt like sleeping and not moving out of her room. 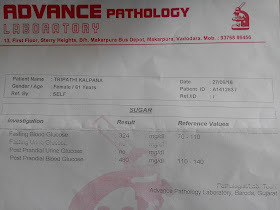 Hence after seeing the report I immediately stopped using the medicine and switched to the old medicine and consulted the doctor and now she is fine and the blood sugar is within control. 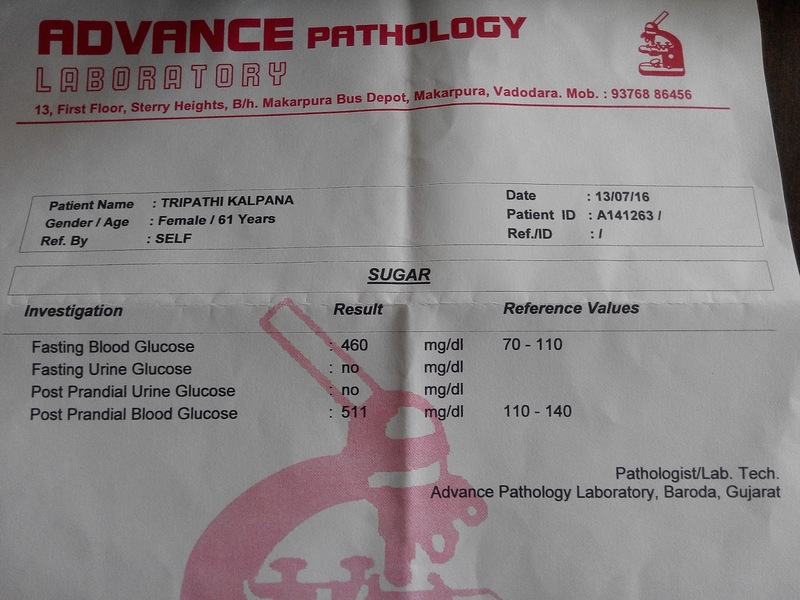 I have carried out 3 tests using the instant blood sugar check machine which we can use at home and the last check shown the record of 132 for Fasting Blood glucose. 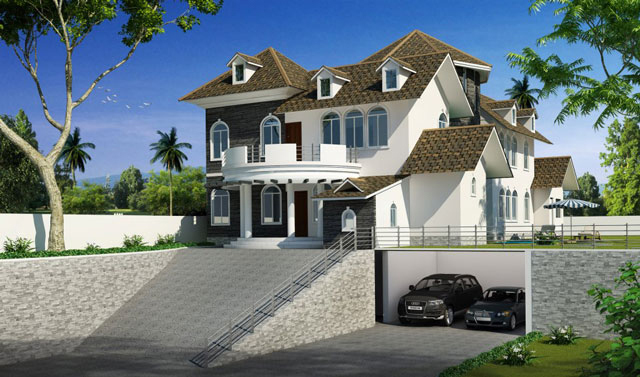 · No bill provided means they do not leave any proof behind if anything goes wrong. 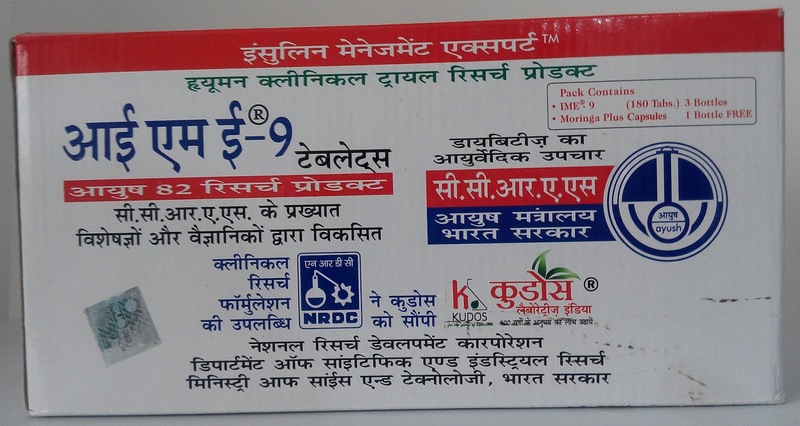 · MRP printed on box is Rs. 2700 where as they collect Rs. 3000. 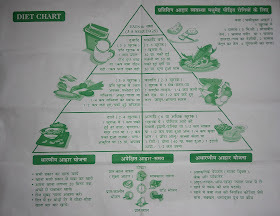 The MRP is not visible when you collect as it is wrapped with non-transparent polythene so you cannot see it. 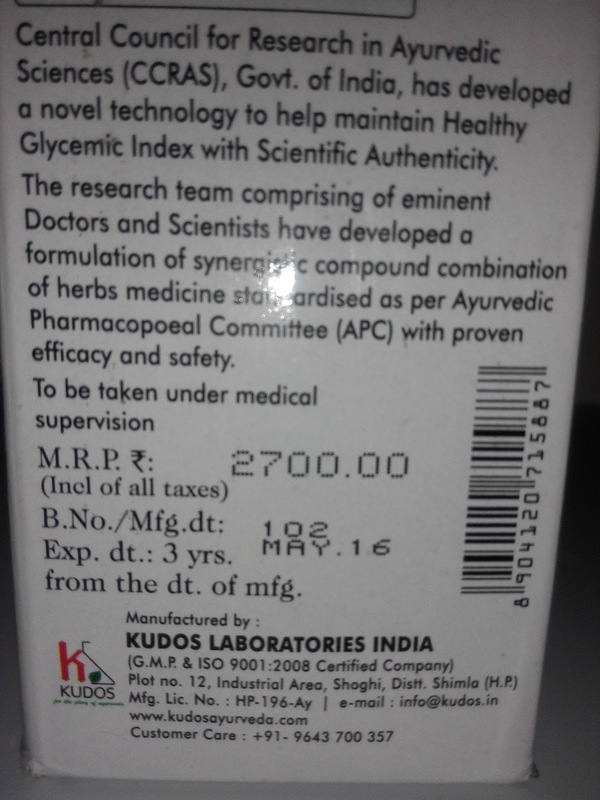 · No proof of Government of India approved medicine. 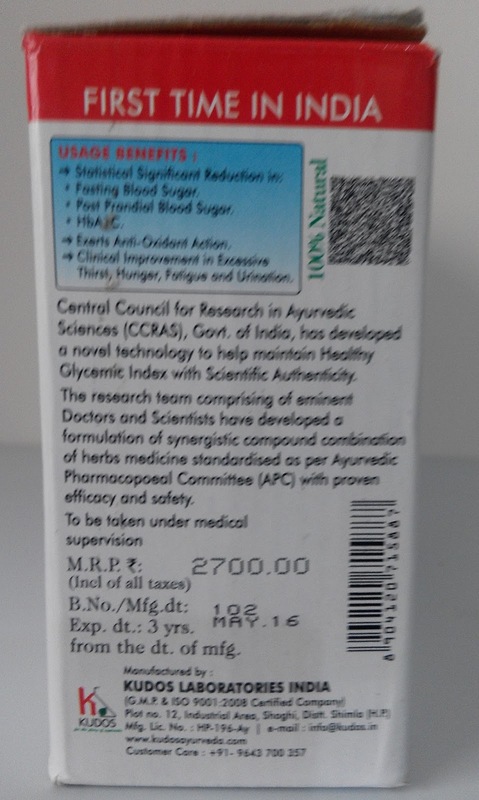 · No further contact done from company after delivery of medicine. 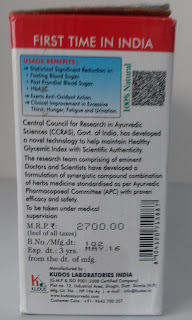 So, now it’s up to you whether to go for this medicine or not. It’s a big NO from my side as I have experienced this. Hence this is a warning not to use IME9. I request people to write their reviews about the medicine so that people who are wanting to use it will have a better understanding before they buy it. I am not sure if this is the case with others what has happened with me. So, if people will share their experiences that will help others.